Ben went to look out for another BBQ place. The Parker Place BBQ is always busy with a long line. 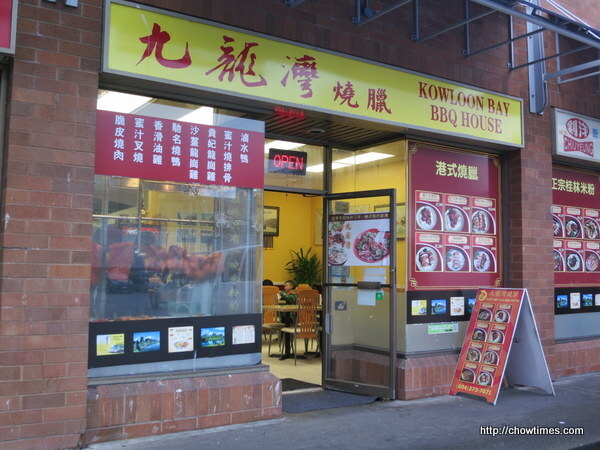 He decided to try out the roast pork from Kowloon Bay BBQ House which is located in the same strip mall as N-Joy Cafe. Ben loves it. 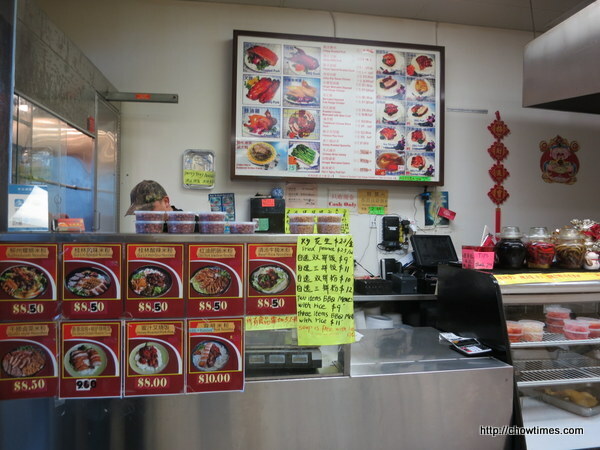 The roast pork here is made from just the pork belly. This is similar to the HK BBQ Master style. I like that the chef (the person who chop up the roast pork) made the effort to arrange the meat nicely. 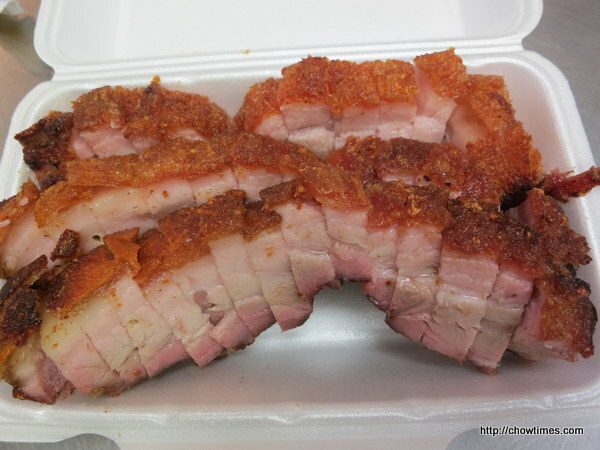 Although the roast pork is from the belly, it is not too fatty. Ben has a new favorite now. If I remembered correctly. one pound of roast pork is CAD11. 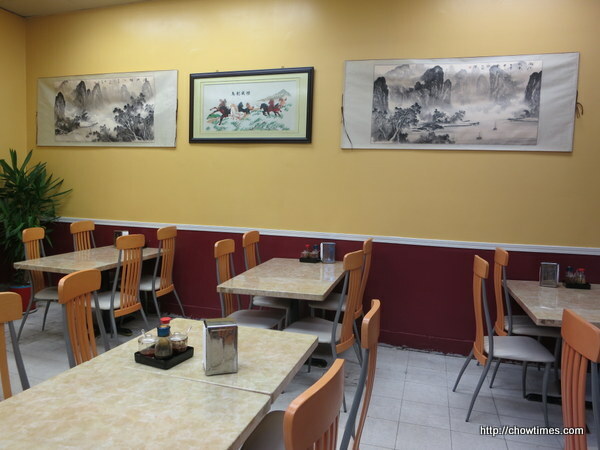 You can eat in too. The above are some of the options. 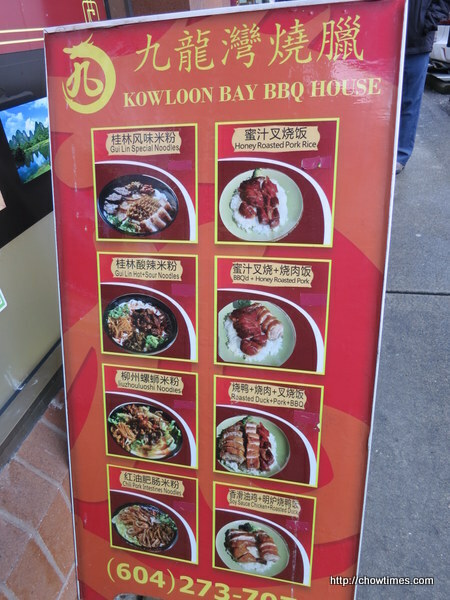 Kowloon Bay BBQ House accepts cash only. Nice Find, I agree, Parker Place lineup was 45 minutes last time I went and that was after the pain of finding a parking spot. Delicious BBQ in Crystal mall is good but their price is double most other places.